Just a quick share here today. 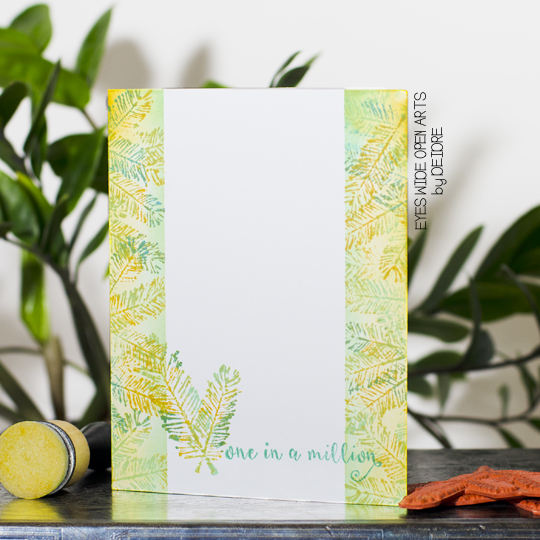 I'm a lover of all stamps floral! I tell myself to look away when I see new releases, but alas, I fail lol, especially when there's a sale. 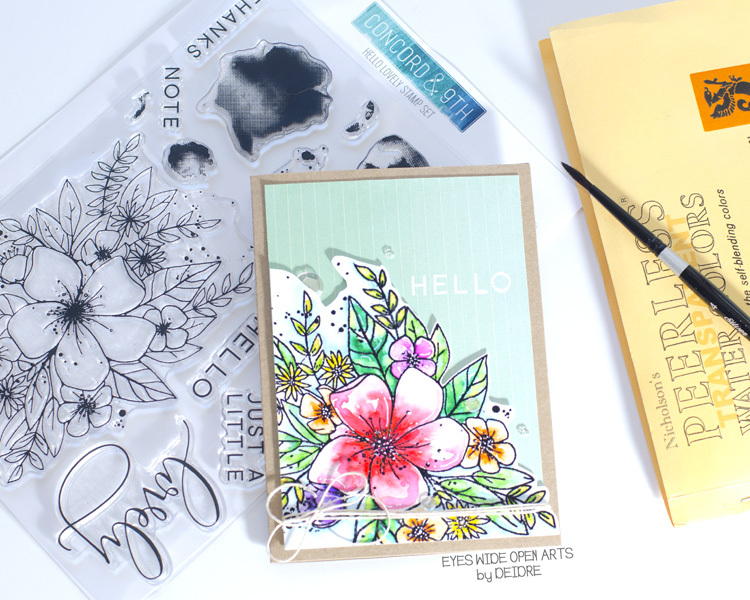 This Concord & 9th set "Hello Lovely" is fabulous and when I opened the package, I immediately thought about all the ways I could color this set...so many mediums, so little time :) I went with my Peerless watercolors and some very loose coloring. I loved the results! I've found my new favorite white pen too! 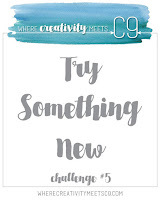 It's a water-based Sharpie with an extra-fine point...you should definitely give it a try if you're a dot-maker, doodler, or just like adding extra lines to your images and art journal pages. Thanks for popping in today and have a happy Friyay! If you have a soft spot for shiny things, we have you covered at CASology this week! 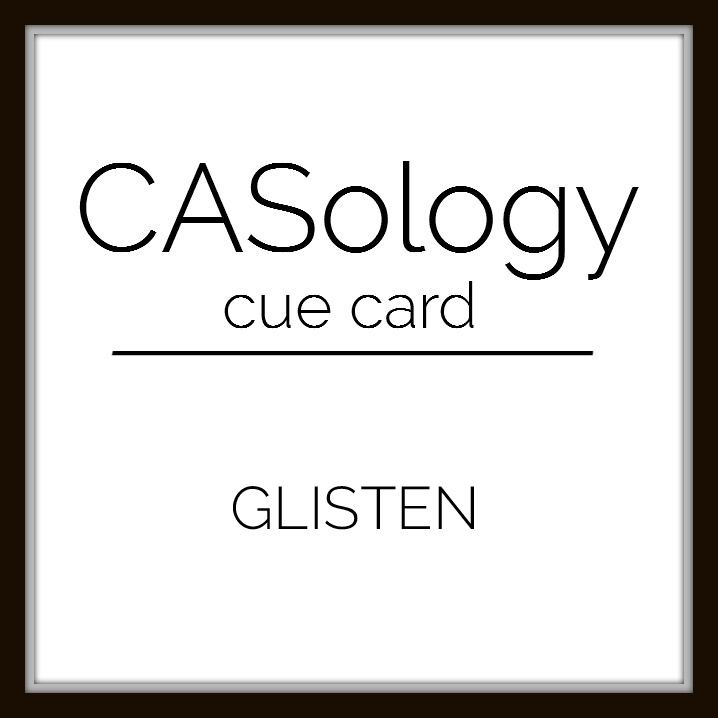 Our new cue card is GLISTEN. 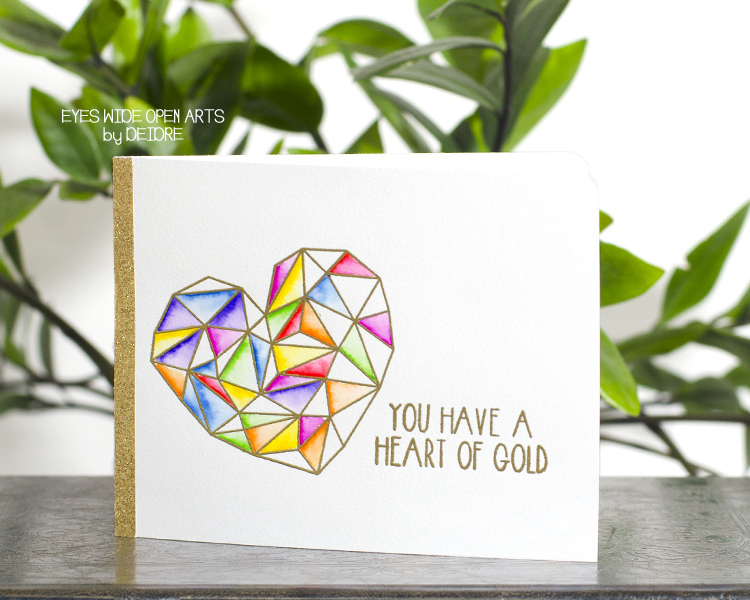 All that glistens, ain't gold...unless, of course you're making a card :) I got some new goodies in from Neat & Tangled and knew they would be perfect for this challenge! The heart and sentiment come together. I heat embossed both in gold detail embossing powder and then when to work with my Zig Clean Color brush pens and a water brush. I wanted to leave the right side of the heart less colored to give some balance since my sentiment was going on that side as well...my attempt at composition lol. A little strip of gold tape on the left side of the card and you have CAS card with lots of color and pop. is a great way to prevent unintentional blending of colors! The other DT members have some shining cards of inspiration to share too! 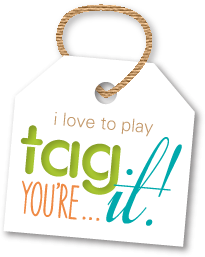 And be sure to say hi to our gracious sponsor for this week's prize! Thanks for stopping by and I can't wait to see your glistening designs! 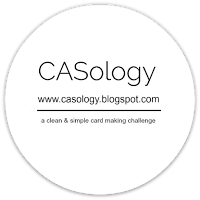 We're cutting up over at CASology this week, so grab your dies, die cutting machines, scissors, X-acto knives, or whatever your crafty cutting weapon of choice is and join us! When I really want to make an impact, I reach for black. Black and white, black and pops of bright colors, monochromatic shades of black and gray...real eye-catchers! 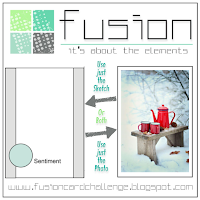 When I saw the die STAMPlorations sent to me for this challenge, I knew it was gonna be a negative space kinda day lol. 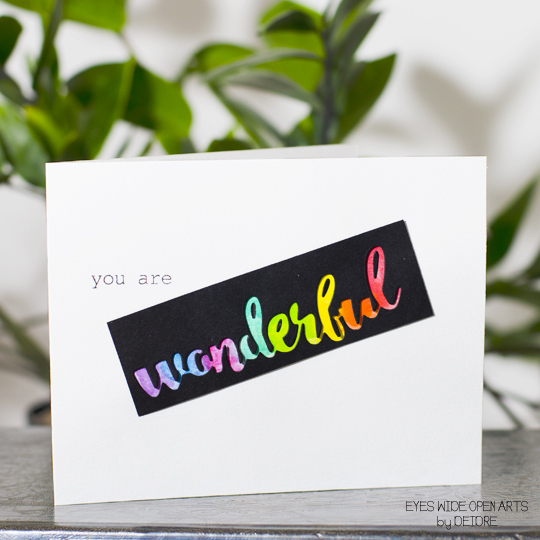 I really wanted to highlight how "wonderful" and bold this font cuts. I watercolored the sentiment using the Inktense Blocks I reviewed weeks ago here and on my YouTube channel. 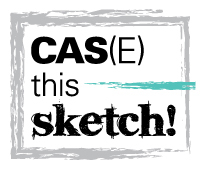 Tip: Sketch a super light pencil line to mark the word and borders of the negative to make sure you color the letters completely and with different colors. 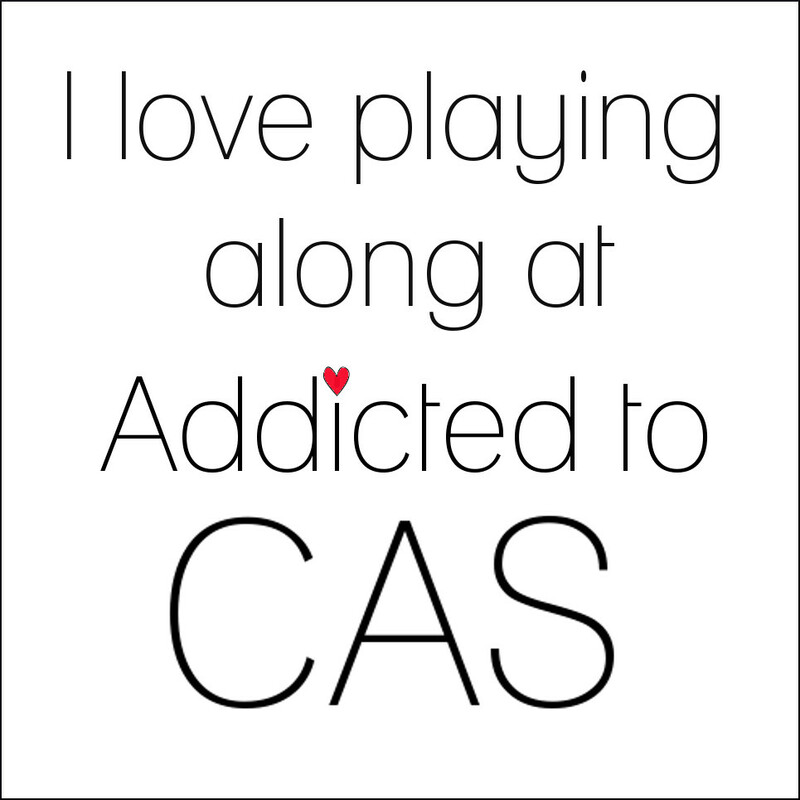 It also prevents coloring outside of the edges. If you're using watercolor, the pencil will not erase afterwards, so use a really light hand. The rest of the DT is "die"ing to show you their inspirations! And certainly don't forget our guestie and fab sponsor. Thanks for joining me today! Have a wonderful Tuesday! to play and stamp! This week's cue card is: FOREST. Time to get lost in the forest of DT ideas on their blogs. 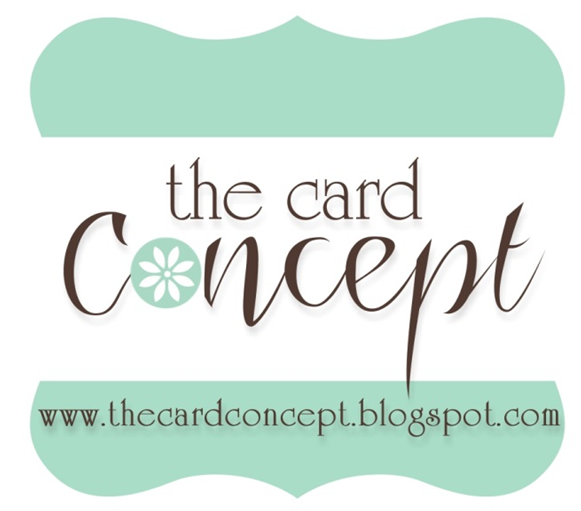 And don't forget to say hi to our guest designer and check out the online shop and blog of our sponsor this week! Stay warm and thanks for stopping by! 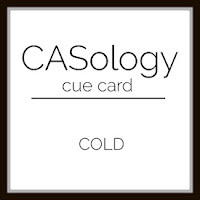 what most people are feeling outside this time of year: COLD. 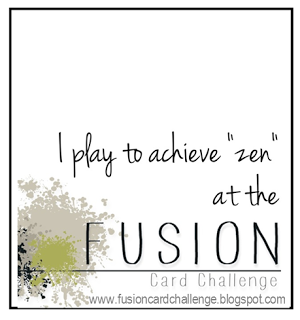 and I really love the look, so this was my card for the challenge! These stamps were provided to me by our super fab sponsor, Rubber Dance Stamps...aren't they cute?! 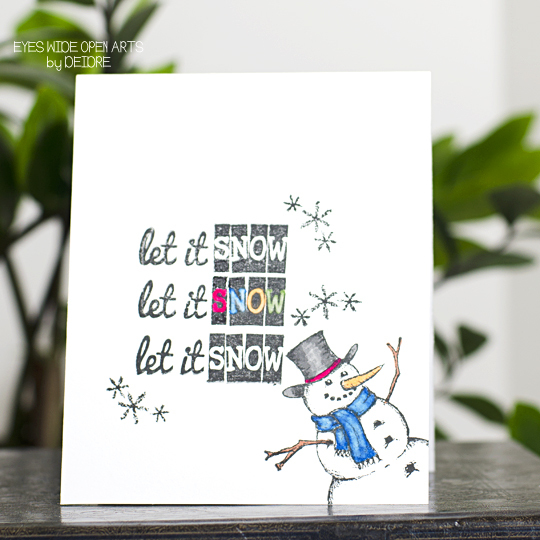 When I was laying out the card design, I accidentally dropped my inked up Mr. Frosty stamp onto the card and it landed in the corner...and I decided to do it again intentionally! Love a happy little accident :) To finish it off, I did a little selective coloring using Tombow Dual Brush Pens. 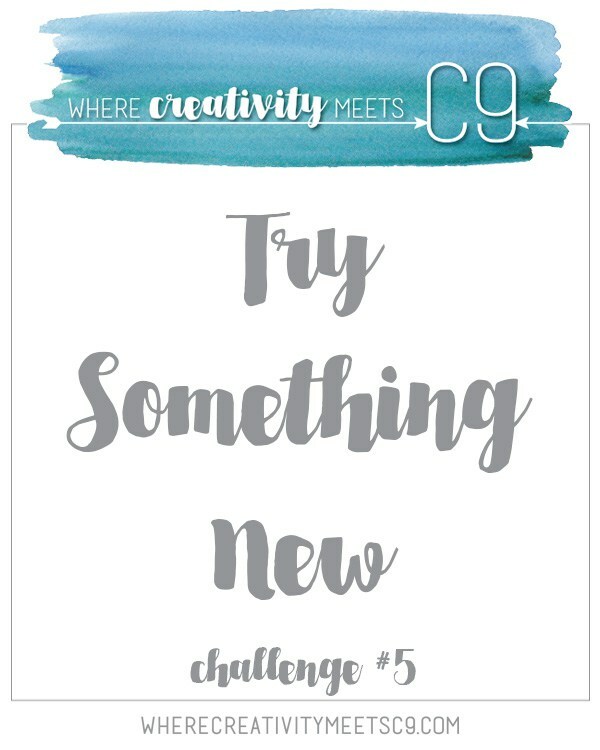 I'm so excited to see what everyone shares this year!